One of the most frequent charged crimes these days is driving under the influence. A conviction can result in jail or prison time, hugh fines, mandated community service, DUI school, and license suspension or revocation. For this reason, it is extremely important that you get the involvement of a lawyer that you can trust to protect your legal rights. Most people whose blood alcohol level exceeded .08 get charged with two misdemeanor crimes: DUI under Vehicle Code 23152(a) and driving with excessive BAC under Vehicle Code 23152(b). Your objective is to avoid conviction for either of these offenses. The ramifications from an instance of bad judgment ending in an arrest should be fought. It always makes more sense to not plead guilty. Mr. Sheldon handles cases ranging from simple DUI, DUI causing injury to vehicular manslaughter and devotes a significant portion of his practice to these types of cases. He will attend all the DUI court proceedings on your behalf. The client usually does not have to appear unless there's a hearing where you have to testify, or the case goes to trial. 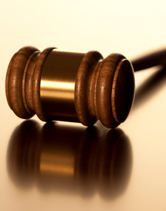 Most DUI cases may involve several court dates, and can span over several months. During this time, he collects evidence, runs motions, and negotiates with the judge and prosecutor seeking a dismissal or a reduction in the charges. In a conviction of a DUI, the penalties that could be imposed by the court are exceptionally harsh . You must contact the DMV within 10 days of a DUI arrest. Otherwise you forfeit your right to a hearing and your license automatically goes into suspension after 30 days. Mr. Sheldon can request the hearing for you. It's usually better that way, because he can often times get the hearing delayed or avoid a license suspension. Copyright © 2012 Michael J. Sheldon. All Rights Reserved. Site designed by dZign Concepts.